CONFIRMED, the rumours are TRUE! 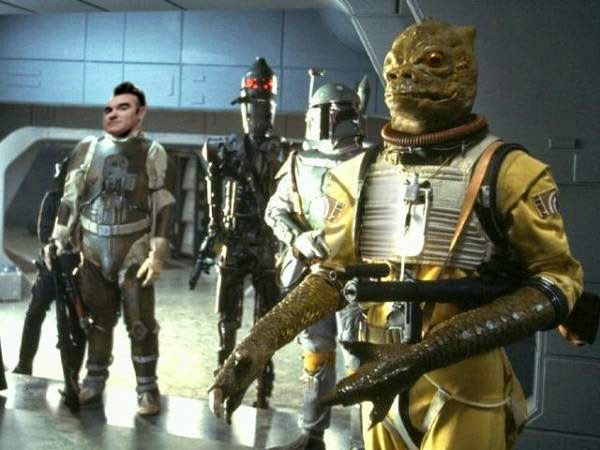 Morrissey has successfully lobbied for a tiny cameo appearance in the new, upcoming STAR WARS: The Force Awakens. In keeping with GEORGE LUCAS' original vision of a BRIT-CENTRIC intergalactic government, the alternative crooner was cast this week in a tiny scene featuring bickering politicians. This is a sly nod to the singers own, career-long battles with the British High Courts AS WELL AS a nod to his firm, and very public, beliefs about artist's intellectual property rights. Just kidding, but wouldn't it be amazing if it were true?